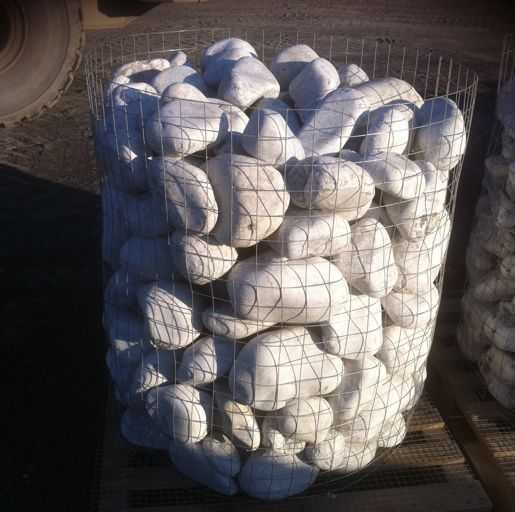 More sizes of our boulders: 150-300 mm. y 300-500 mm. 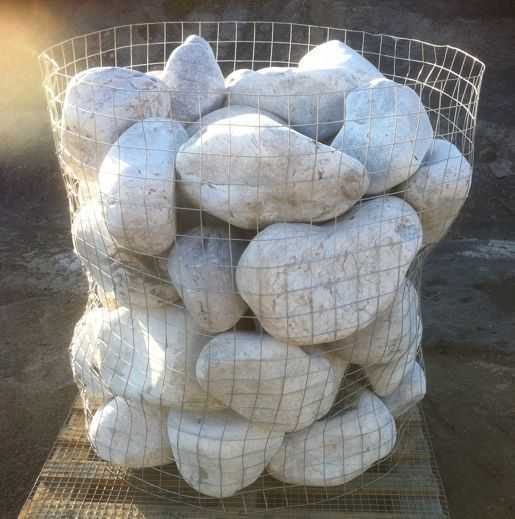 Expanded our range of white boulders with these two different sizes, can be used in metal cages or siege basket. Foreground its high whiteness and quality of rounding, widely used in decoration projects and cutting-edge design. White marble boulder of 300-500 mm. Metal cage with black boulder and a white marble boulder. For more information please contact us by email : [email protected] or by phone: 0034 948 84 40 68.